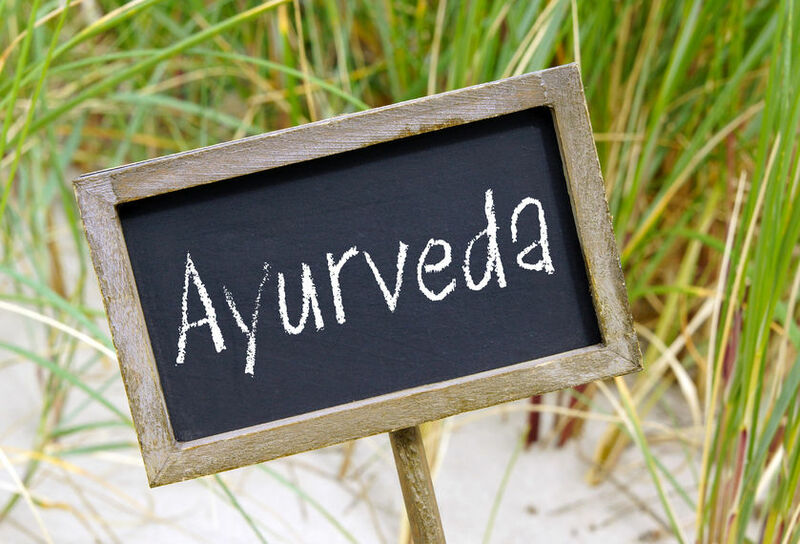 In its Benchmarks for Training in Ayurveda, the World Health Organization states that there are two types of Ayurveda experts: practitioners and dispensers. Within the practitioner category are two types of therapists: Ayurveda dieticians and panchakarma therapists. The former provide dietary counseling and make herbal recommendations. The latter provides a five-fold detoxification treatment involving massage, herbal therapy and other procedures. Again it’s a literal translation; pancha means five and karma means treatment. Each of these experts, including the dispensers/distributors, must be properly trained so as to ensure that Ayurvedic treatments and practices are safe. To this end, the Ayurvedic Formulary of India is a two-volume book containing over 600 compounded Ayurvedic formulations. Maa Yoga Ashram in Muzaffernager, UP, India explains that Ayurvedic medicine deals with doshas, the energies emanating from the five basic elements: earth, fire, water, air and ether (space). 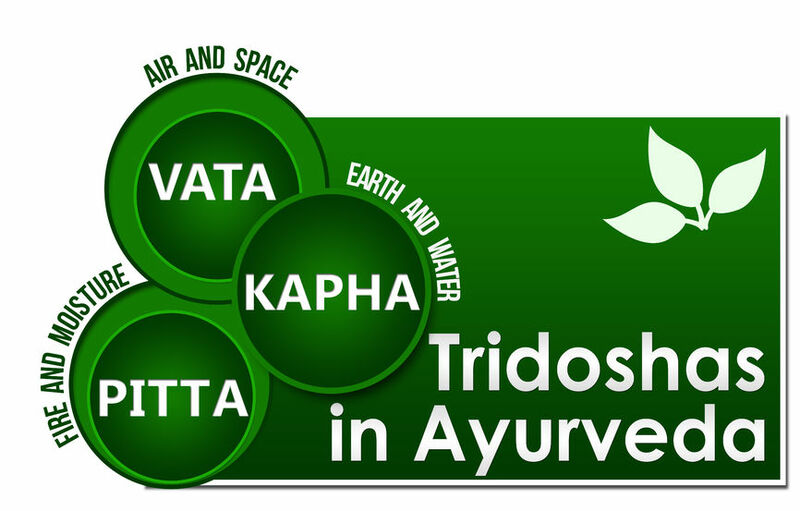 The three human doshas are air (Vata), fire (Pitta) and water (Kapha). Each dosha has both physical and emotional characteristics and an individual’s health and well-being depends on keeping the three harmoniously in balance. Since each person is a unique individual, his or her three doshas are proportionally different than any other person’s three doshas. Thus, Ayurvedic medicine seeks to treat each individual instead of taking a one-size-fits-all approach. Ayurvedic herbs play a large part in the practice of Ayurvedic medicine. Founded on the principle that human illnesses are caused by one or more weaknesses in the body that let a disease take hold, Ayurvedic medicine uses herbs to support the body’s natural functions, building strength to ward off illnesses. Should an illness start to invade the body or an accident occur, Ayurvedic herb plants help the body to heal naturally from within as it was meant to do. In other words, Ayurvedic medicine and the herbs it uses, treat the body as a whole, not just the symptoms of an injury or beginning illness. Hundreds, if not thousands of herbs have been used in Ayurvedic medicine over the millennia. Very early practitioners were limited to those growing within their immediate region, but as trade routes became established on land, sea and finally in the air, the herbs began traveling from one region to another and ultimately from one continent to another. Today it is not all unusual to find native Indian plants growing in all parts of the world, we grow a variety of these plants and ship plants throughout the United States. The following are Ayurvedic plants that herb enthusiasts can grow and purchase from our website. While many are old favorites, some are considerably less familiar to the average gardener. Some Ayurvedic herb plants are more hardy than others, but all can be grown indoors in pots if necessary or desired. 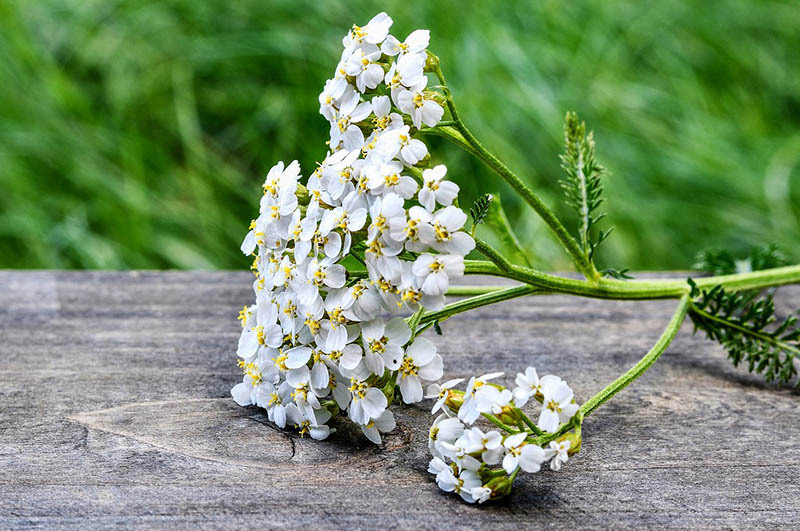 Achillea Millefolium has astringent and anti-inflammatory properties and has been used since ancient times to heal battlefield wounds. Native Americans have long used it to treat cuts, burns and bruises, as well as to cure earaches and toothaches. Salicylic acid, one of the main ingredients in aspirin, is extracted from the Achillea Millefolium plant. The plant itself is a great garden plant, attracting predatory insects that feed on the larvae attached to any nearby plants. Most people are familiar with Aloe Vera, both the plant itself and as an ingredient in hand lotions and other beauty products. It soothes skin irritations and helps to heal burns and sores by means of its anesthetic and antibacterial properties. Aloe Vera is a green ornamental succulent with fleshy, spiky, gray-spotted leaves. It grows outdoors in zones 9-11 and makes an outstanding indoor potted plant. 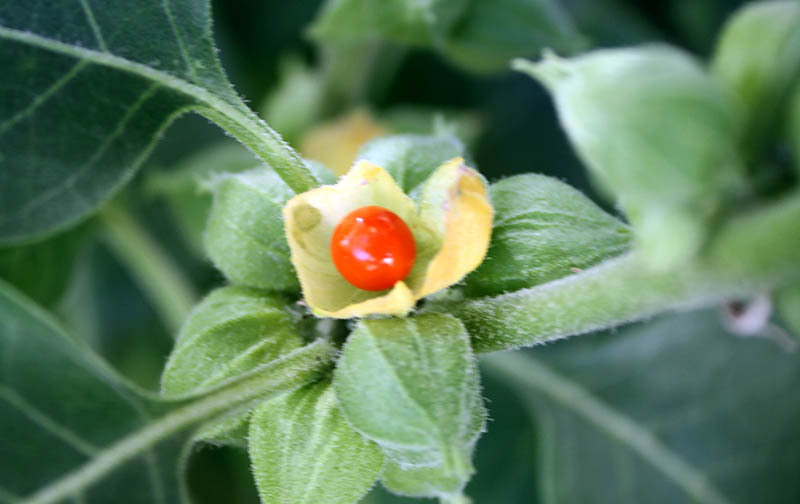 While Ashwagandha is likely a new herb name for many gardeners, it is considered a staple of Ayurvedic medicine. It has been used for thousands of years to decrease stress, reduce inflammation and increase the libido. The roots and leaves are used as both an aphrodisiac and a sedative! This small woody shrub plant prefers a hot, full sun and is strong and vigorous. It will grow well after ALL chance of frost is gone. Holy Green Basil is a variety of green basil and has a milder taste than its cousin Holy Red Basil. 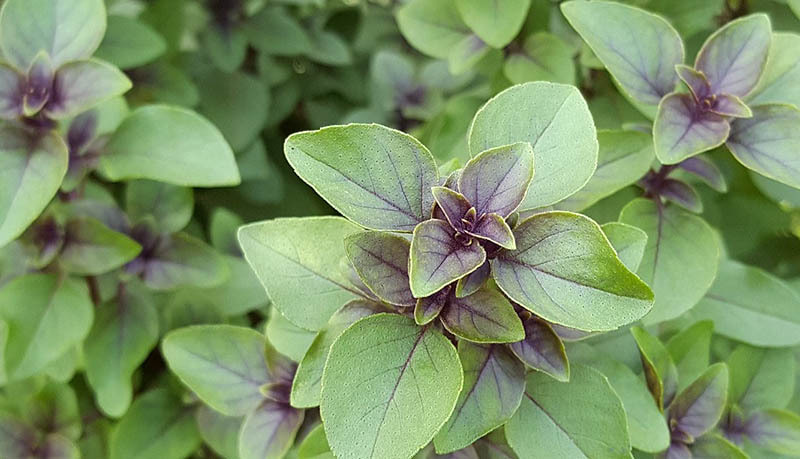 As a medicinal herb, Holy Green Basil is used to help prevent colds and flu and its oil is believed to relieve aches and pains, as well as to repel flies and mosquitoes. Some recent scientific studies suggest that both varieties of Holy Basil may help lower blood pressure and reduce the risk of diabetes. Brahmi is another traditional Ayurvedic medicinal herb. It has been used for anti-aging, epilepsy, anxiety, stomach ailments, improving memory, and as a general tonic to fight stress. The plant strives under substandard conditions, it practically grows itself! Brahmi plants prefers consistently moist to wet soil and can even be grown in water gardens. Brahmi plants can get somewhat invasive, so be sure to prune them back, at least every other year. 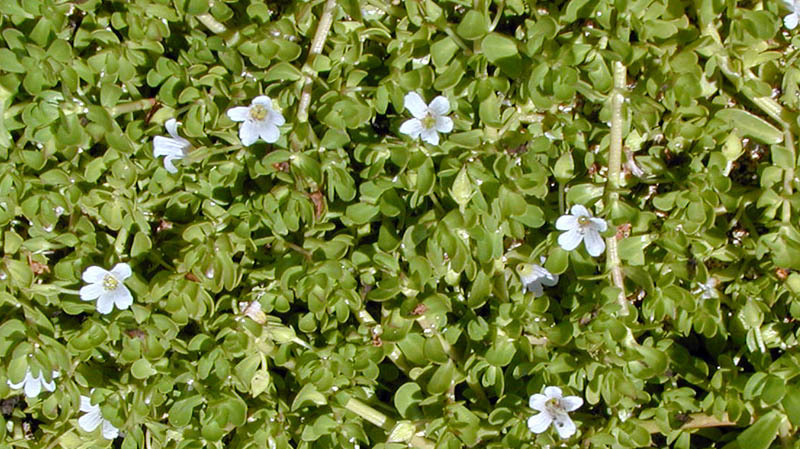 If taken medically, Brahmi may have some side effects and can interact adversely with other medication. As with any medicinal herb, make sure to consult your doctor before using. Cutting Celery is a leafy aromatic herb that has more flavor than its crunchy cousin, with no stringy fibers to deal with. Its dark green glossy leaves have an attractive serrated edge. Often mistaken for flat leaf parsley, both the leaves and small stems of Cutting Celery add flavor to salads, vegetables, soups and stews. As a medicinal herb, Cutting Celery is used to treat breathing disorders such as asthma and bronchitis. It should not be used during pregnancy. Cutting Celery is a perennial that can grow all year long in indoor pots, or be transplanted outdoors to the garden in milder weather. Fenugreek is often an essential ingredient in curry powder, and is also used in salads, chutneys & pickles. The seeds have a rich, nutty flavor and can be used fresh or dried. It has been used as a cough suppressant, for sore throats, to reduce the amount of sugar that the body absorbs from food, and to help reduce blood cholesterol levels and increases circulation. Note: It has also been used to induce labor, so pregnant women should avoid fenugreek. 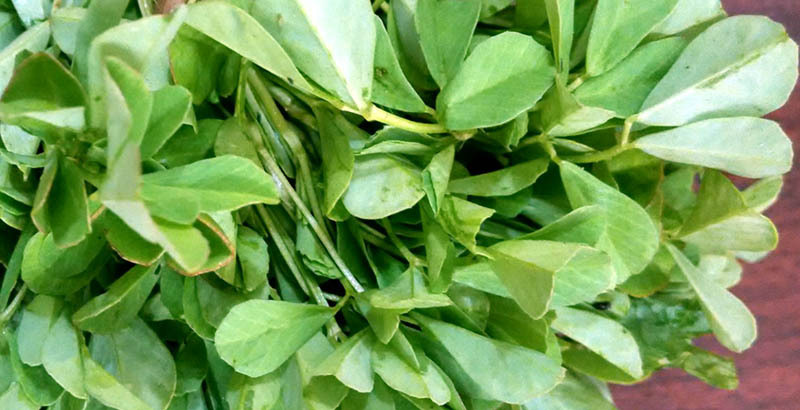 Fenugreek plants are easy to grow, and love l full sun with well draining soi. In Zones 9 – 11 it can be used for year round ground cover. Horehound is most famous as the main ingredient in old-fashioned horehound candy. It’s also a medicinal herb, however, used primarily for treating sore throats and coughs, as well as breaking up phlegm and mucus. It is found in some holistic cough drops. Horehound is a very versatile plant whose attractive fuzzy greenish-gray leaves make a great ornamental accent in bouquets. Despite its bluish-purple flowers, Hyssop is a member of the mint family. Its profuse blossoms attract butterflies and bees, whose resulting honey is deliciously sweet. Its leaves, however, are bitter and strongly scented. Nevertheless, they are used to brew teas to aid digestion and relieve coughing. 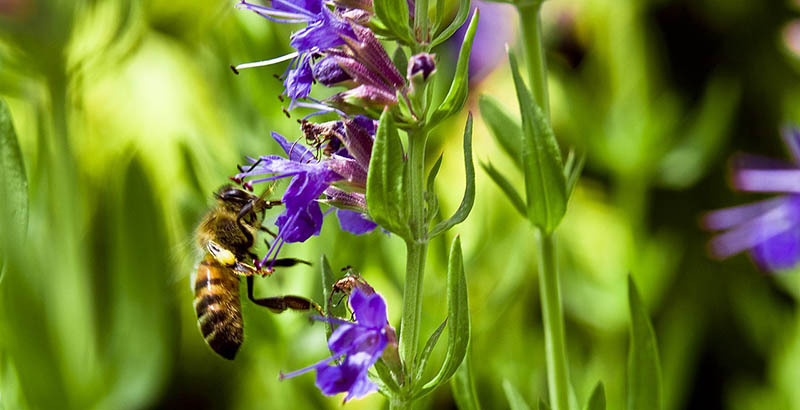 When Hyssop tea is combined with horehound and honey, it makes an effective natural alternative to expensive store-bought cough syrups. As its name implies, Lemon Balm emits a delightful lemon odor when its leaves are bruised, crushed or rubbed on the skin to naturally deter mosquitoes and other biting insects. 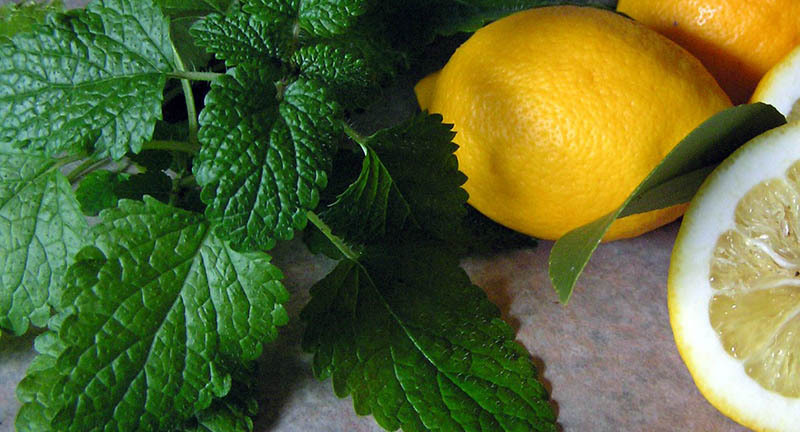 Lemon Balm also quickly cures cold sores due to the antiviral polyphenols in its oils. In addition, it is often used to treat such diverse ailments as nausea, tooth aches and anxiety. As a culinary herb, Lemon Balm tastes great in salads or as a compliment to fish and seafood dishes. Peppermint is an all-time herb garden favorite. Its unforgettable scent brings forth immediate mental images of holiday candy canes. 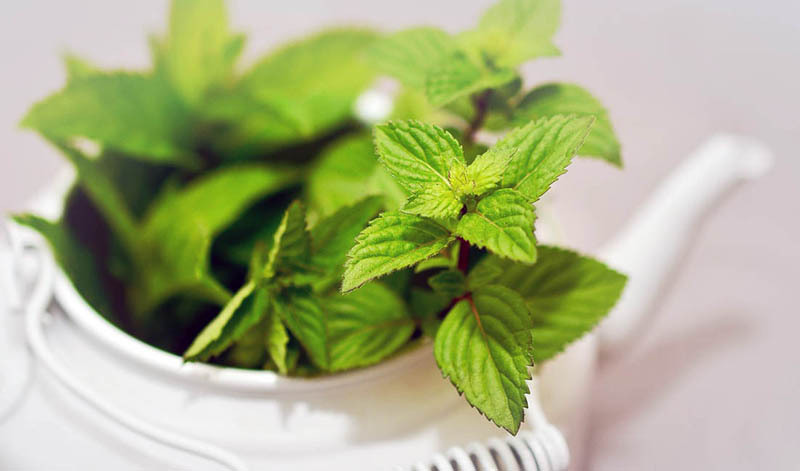 The menthol oil found in Peppermint leaves and flowers is a staple in mouthwashes, soaps, lotions, candies and chewing gums. Peppermint tea has long been used to aid digestion. 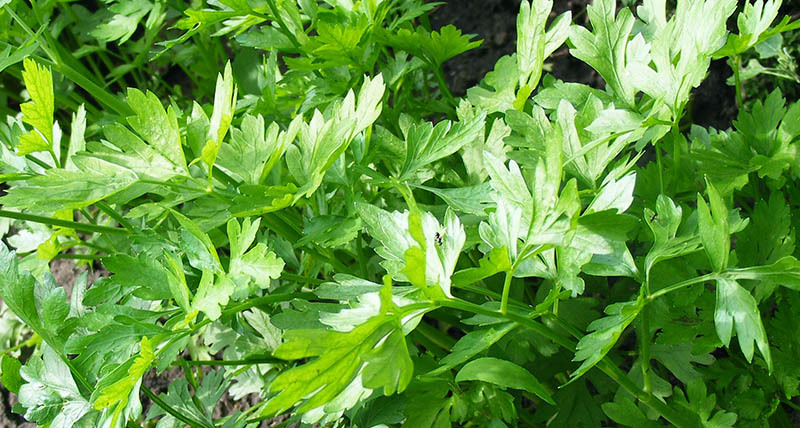 Flat Leaf Italian Parsley is the herb that puts the Italian in Italian favorites such as spaghetti, lasagna, eggplant parmigiana, prosciutto, Fettuccine Alfredo and bruschetta. 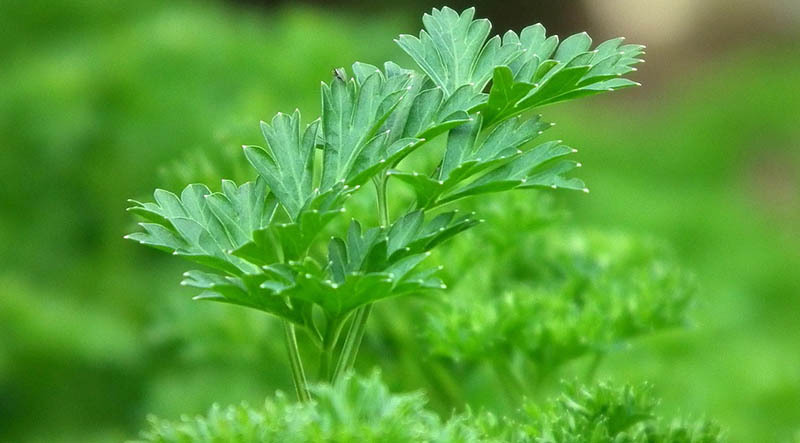 Medicinally, Italian Flat Leaf Parsley has been used since ancient Greek and Indian times as a remedy for gas and bloating. Its edible flowers and leaves are full of Vitamin C, iron and antioxidants. It’s often used as a digestive aide and as a treatment for urinary tract infections. 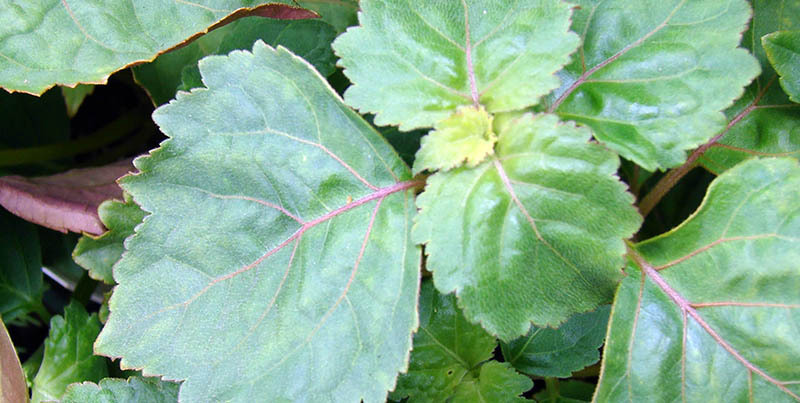 Patchouli is an all-purpose herb. Its distinctive exotic aroma is found in perfumes, soaps, oils and incense. It’s a great hair and skin conditioner and has been known to efficaciously treat acne and eczema. It is also a natural insecticide that makes an effective alternative to toxic mothballs for repelling moths in closets, drawers and attics. Long used in the Far East as an antibacterial and anti-fungal, Patchouli treats headaches, colds, nausea and even venomous snake bites. This guide lists some of the most important Ayurvedic herbs, although there are many more. As in any medical philosophic tradition, Ayurvedic medicine is a wide-ranging and complex field. It has two core beliefs: that the human body and the entire universe are one and that the same principles govern both. The same changes that occur in the universe over cosmic time occur in the human body over human time. Consequently, naturally-occurring substances like herbs are best suited to helping the body maintain its dosha equilibrium and therefore its health. In the United States, Ayurvedic products, with the exception of the plants themselves, are regulated as dietary supplements. As such, they are not subject to the stringent requirements of the Food and Drug Administration regarding safety, effectiveness, toxicity and side effects. Since the full spectrum of Ayurvedic medicine includes the use of things other than plant materials, Ayurvedic supplement users need to be cautious about taking these products. As far back as 2008, the National Center for Complementary and Integrative Health funded a study of 193 Ayurvedic products manufactured in the United States or India and available over the Internet at that time. The researchers discovered that the contents of 21 percent of these products included lead, mercury, and/or arsenic in levels that exceeded those acceptable for daily intake. The message is clear. Ayurvedic supplements may be considerably problematical. It’s best to grown your own Ayurvedic herb plants. 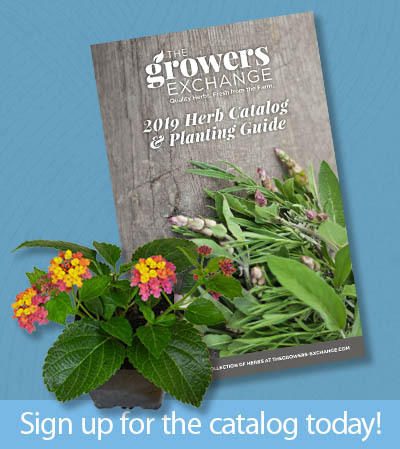 Disclaimer: Please note that all information presented in this guide is based on research of the historical uses of the herbs we sell. We are not providing our customers with medical advice, therefore you should always consult a doctor or reputable herbalist before using any herb for medical purposes.